To help you write, format, design, and promote your white papers, we’ve written tutorials, created templates, and made videos. We all know what a white paper looks like but where did it come from? As someone who loves writing, I'm always curious to discover where words come from. One that always bugged me was white papers. Why white? I did some digging around to discover where they came from. Here's the scoop. 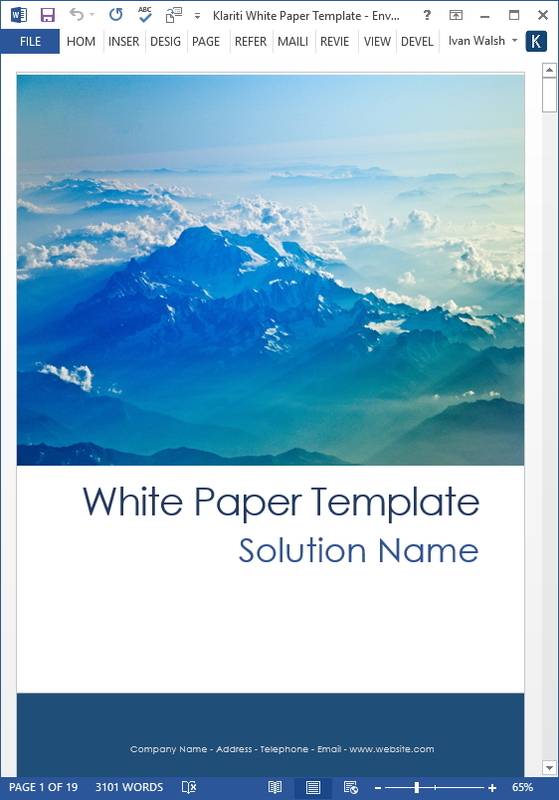 White Paper Templates - Improve the quality of your white papers with 15 royalty-free MS Word White Paper templates.